Spanning the southern most areas of both Chile and Argentina, Patagonia is an epic addition to your South American travel journey. An area that draws in those seeking adventure and pristine natural beauty that should not be rushed. Here is a collection of the best things to do there. Long considered a trekker’s paradise, you quite often trade kilometres for spectacular scenery in Patagonia. Half day walks, full day hikes and even treks lasting several days are all possible. Many different hiking trails are possible in Torres del Paine National Park, in Los Glaciares National Park accessible from El Chalten in Argentina. This region is home to some marvellous glaciers and gorgeous mineral coloured lakes that will astound you. Trek on or navigate close to Perito Moreno, one of the largest advancing glaciers in world out of El Calafate in Argentina. 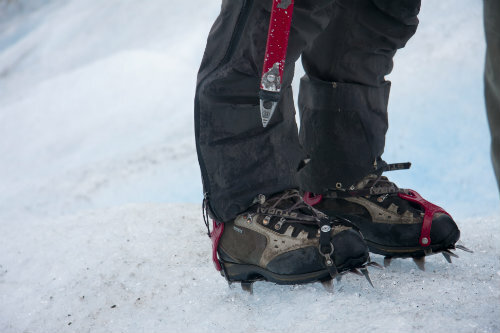 A few hours away from El Chalten you can do the same to the beautiful Viedma glacier. And from the Chilean side of Patagonia, you can access the glacier of Balmaceda out of Puerto Natales or Glacier Gray within specatular Torres del Paine National Park. 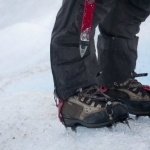 With the aid of crampons you can minitrek your way to Perito Moreno or Viedma glaciers. 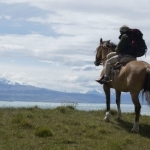 Whilst this area is desolate and scenic, wild Patagonia is largely agricultural and home to the gaucho (cowboys) who earn their living in this beautiful, harsh region. 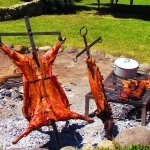 Sample the local lamb and beef here for what is sure to be some of the freshest you will taste throughout your journeys. 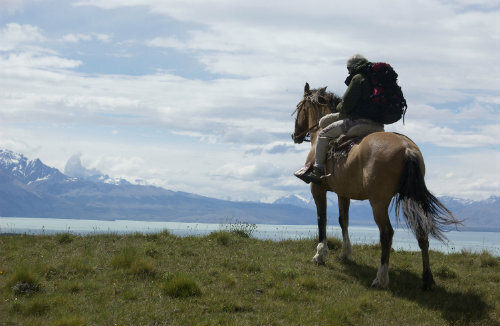 What better way to the cover longer distances between key viewpoints than to follow in the footsteps of the gauchos by taking part in horse riding activities from your lodge. Available as an excursion option at some of luxury lodges such as Hosteria Torres, this is a great way to explore the region in a different way. As well as picturesque scenery on land, Patagonia is part of fjord country and boasts some amazing channels and expedition cruise adventures. 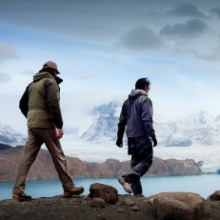 The Skorpios fleet offer first class voyages to the San Rafael glacier and in the extreme south following the indigenous Kaweskar route to Puerto Natales whilst the luxury Australis cruises travel through the Beagle Channel from Punta Arenas to Ushuaia. 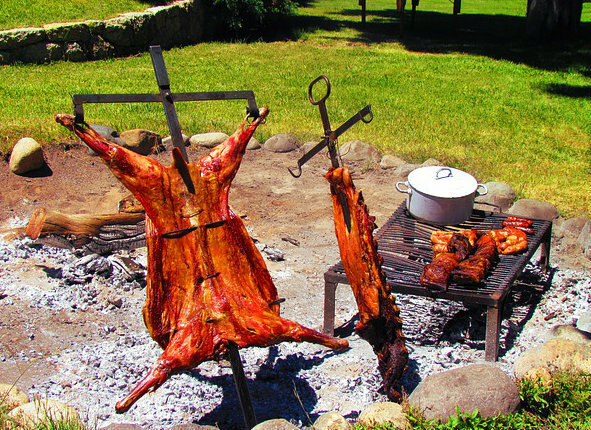 Cruising is definitely a highlight for adventurers from the possible things to do in Patagonia. The mountain air in Patagonia is so fresh and every traveller needs to take a moment to inhale it and the beauty of this unforgiving region as deep as they can. The distances between points are far (It’s about 5 hours from Puerto Natales to El Calafate, three hours from El Calafate to El Chalten and that doesn’t include the hours you can spend hiking or driving to distinct mountains or lookouts) so this not an area that should be rushed. It is possible to experience different attractions in smaller doses (such as El Calafate in three nights and just Torres del Paine in 5 days) but you could easily spend weeks trying to discover all its majestic spots and for this reason many choose this for an epic second time journey in South America. What’s the remotest region you’ve travelled to or have you been to Patagonia? Let us know in the comments. Want to know more about travelling in South America? Check out our special Go To Guide featuring a brief summary of 32 of the most popular destinations. 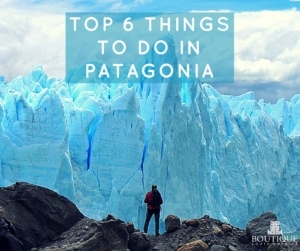 Where is Patagonia and how to get there?